Here's American classic luxury sport utility vehicle that was built under the AMC period, is a first generation of Jeep Wagoneer well-known as the pioneer of sport utility vehicle concept and introduced as a successor to the Willys Jeep Station Wagon. It has a 360 V8 engine mated with automatic transmission and reportedly about 51K original miles on it. 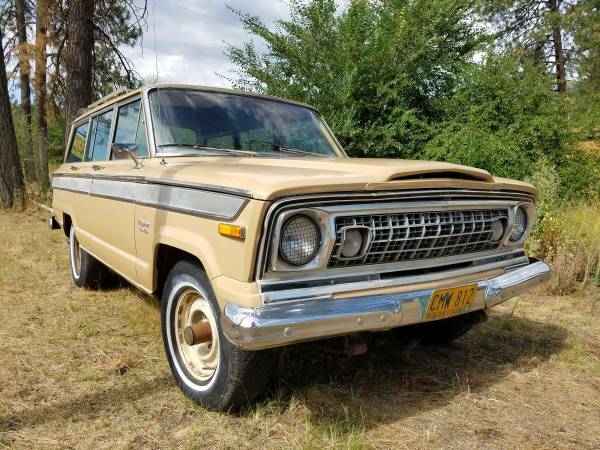 As you've seen here is fairly cool vintage 5-door wagon body type, one unmolested example of 1976 Jeep Wagoneer it was posted in Craigslist about 5 days ago looking for $5500 located in Spokane, Washington. Not so clear about drivetrain fitted rear-wheel drive or four-wheel drive but is said about all track, so we left it to you for make sure. That's could be a perfect start to restored. 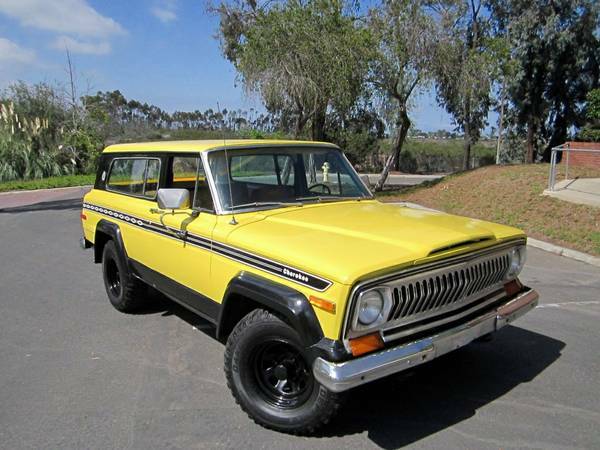 This American classic SUV offered by Jeep, similar to the Wagoneer it's a Cherokee Chief 1977 model year has been fully restored, and clothed in a fairly handsome bright yellow 2-door wagon body has 42000 miles on it. The owner provides very little additional info, just the points, but it’s hard not to be intrigued by the remarkable condition. Find it here on Craigslist posted about a month ago in New Bedford, Massachusetts for $18995. 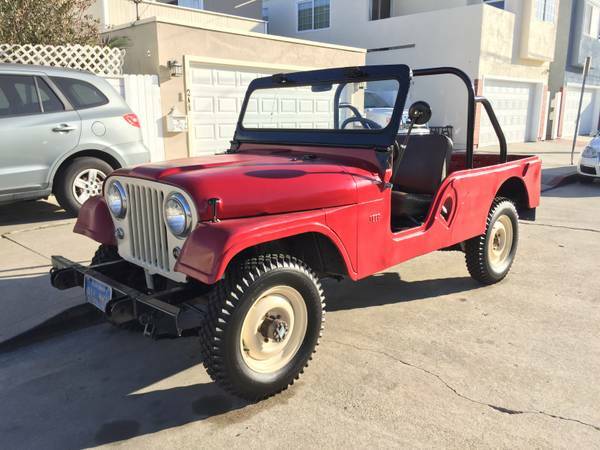 This a long wheel-base version of the Jeep CJ7 commonly known as the CJ8 Scrambler. It's a custom Jeep CJ8 Scrambler 1984 model year with a lot money invested into it. The CJ8 Scrambler arguably as a 4x4 pickup come with a removable half-cab, but not has a separate pickup bed as usual pickup truck seen, it's unique in its era. 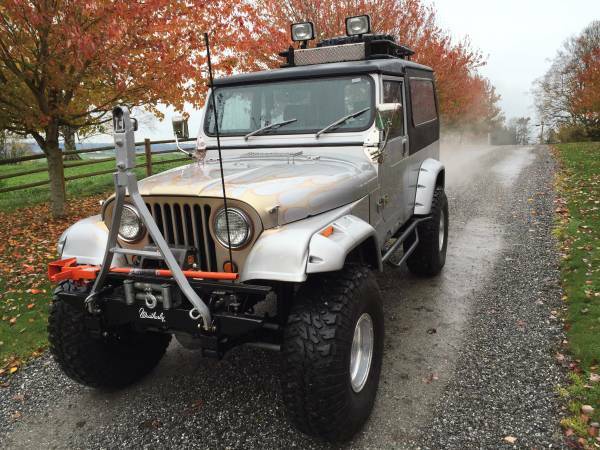 This Jeep already posted in Craigslist 20 days ago, asking $26900 location in Sumas, Washington. 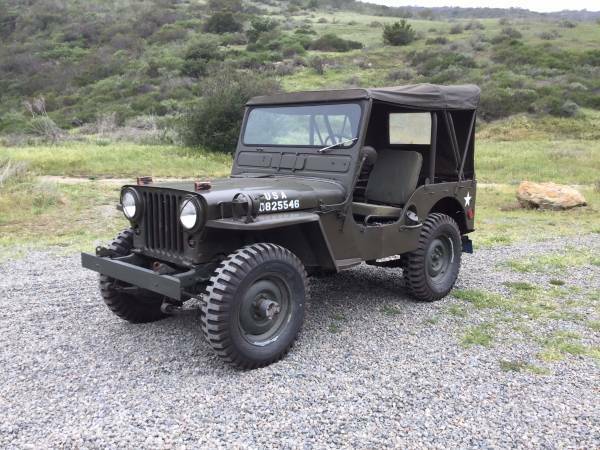 It worth to consider as a cool custom build outcome of the classic Jeep. Not many stories was taken from its owner descriptions, he just want let him go for new toys. It a right hand drive car with automatic transmissions has perfect original body frame no dent and rust issue, lets see inside the interior so clean and neat it a simple look, but is really cool perform. The engine looks strong seem has been treated very well too. May it one nice custom Jeeps on trade today. Must see if you are seriously want.